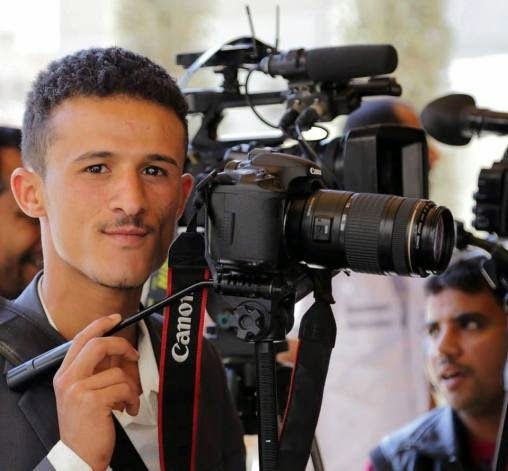 *Militants affiliated to Ansar Allah group (Al Houthi) confiscated the camera of Abdel-Aziz Al-Sabri, a Yemeni photojournalist as he was in a trip between villages in Arhab district. They claimed he was filming "Da'ash" people houses. Al-Sabri explained, 'eight armed men from the Ansar Allah group stopped me in Shera'a village in Arhab and forcibly confiscated my camera, and detained me for an hour, ordering me to wait for one of their armed roaming committees so we can sign an agreement deal." He added, "an armed man called 'Abu Abdullah' is the one who was leading this group. They said that I was filming houses of Da'ash people and Takfiries. I felt scared and I deleted the memory stick without their knowledge. Yet, they confiscated my camera forcefully."